Sometimes, psychological injuries follow physical injuries. When that happens, victims deserve compensation for both injury types, and they can get it with a Spokane PTSD attorney’s help. While post-traumatic stress disorder (PTSD) doesn’t always permanently affect victims, it is a true nightmare when you’re suffering from it. Although the disorder is commonly associated with battlefield trauma, almost anyone who is exposed to an extremely stressful environment or incident can develop PTSD. Fortunately, those whose PSTD developed as a result of an accident can often receive compensation for their suffering. To see what you may be eligible to receive in a PSTD claim, contact a Spokane PTSD lawyer at Craig Swapp & Associates. Motor vehicle accidents are a surprisingly common cause of PTSD. Of the 3 million annual car accident victims in the United States, an estimated 9 percent develop PTSD to some degree. If you believe your PTSD was indeed caused by an accident, understanding how Washington state personal injury law works is vital. Washington uses a standard called contributory negligence for determining liability in personal injury cases. This often plays to the benefit of PTSD sufferers. Even if you carry some of the fault for your accident, you will likely be eligible to receive a portion of the damages for your condition, as long as you’re not found to be purely at fault. Generally, accident victims receive damages proportional to the level of fault of other parties. If a jury awarded $100,000 in your case, but you were found to be 50 percent at fault, your compensation could decrease by 50 percent to $50,000. Also keep in mind that the state of Washington has a statute of limitations for personal injury cases. It’s three years, which means you will be given three years from the date of your accident or the development of your PTSD to file a claim for compensation in Spokane. When filing your claim, it’s extremely important to account for not only how your condition has affected you in the past and present but how you expect it to affect you in the future. Related to this concept is the idea of demonstrating any and all losses you’ve experienced as a result of your PTSD-inducing accident in Spokane. Examples of losses that may apply to your particular case include medical expenses, lost wages or earning potential, emotional distress, pain and suffering, loss of consortium, lifestyle-related adjustments or accommodations, and worsened quality of life. For help crafting a clear and comprehensive personal injury claim, reach out to a Spokane PTSD claim lawyer at our firm. Most PTSD sufferers go through excruciating emotional trauma, regardless of the cause of their condition. Fortunately, most individuals experiencing this disorder can get better, and fair compensation can play a huge role in promoting a rapid recovery. 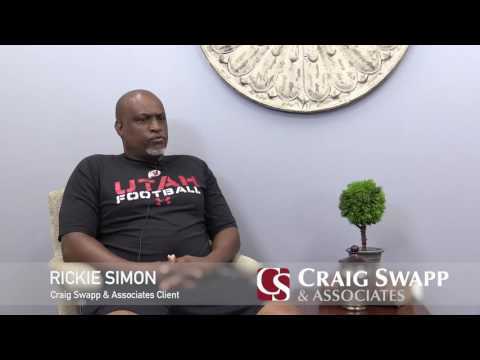 To get the money you need and deserve, contact a Spokane PTSD lawyer at Craig Swapp & Associates today. Call us at 1-800-404-9000 or enter your information into the form below for a free, no-obligation consultation.